Well…it’s not the BEST time, but nevertheless, that’s when it happens. oh joy. oh bliss. oh heavenly rapture. 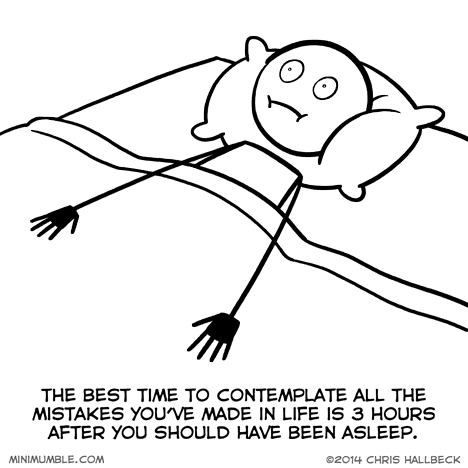 I always contemplate all the mistakes of not getting enough sleep. My brain is only scared of the dark when it’s in the dark. Stupid brain.